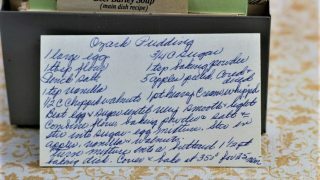 Front of the recipe card for Ozark Pudding. 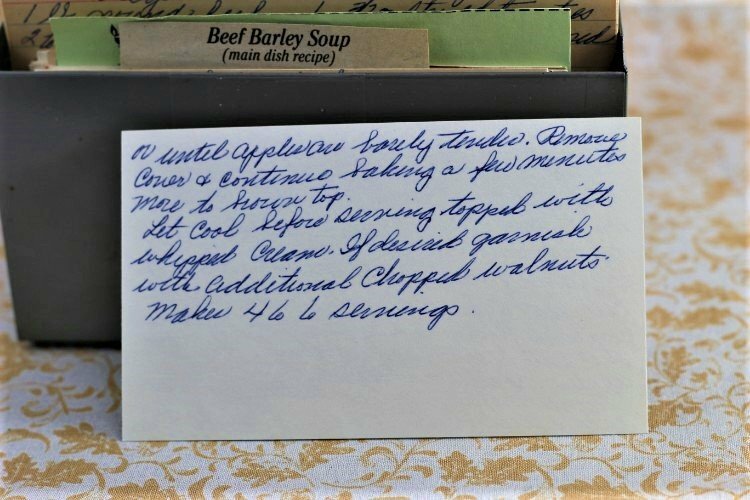 There are lots of fun recipes to read in the box this recipe for Ozark Pudding was with. Use the links below to view other recipes similar to this Ozark Pudding recipe. 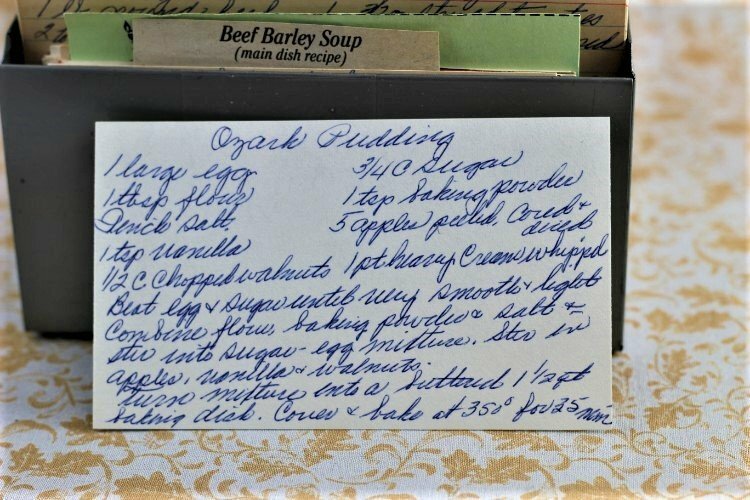 If you make this Ozark Pudding recipe, please share your photos and comments below! Beat egg & sugar until very smooth & light. Combine flour, baking powder & salt & stir into sugar-egg mixture. Stir in apples, vanilla & walnuts. Turn mixture into a buttered 1½ qt baking dish. Cover & bake at 350° for 35 min. or until apples are barely tender. Remove cover & continue baking a few minutes more to brown top. Let cool before serving topped with whipped cream. If desired, garnish with additional chopped walnuts.